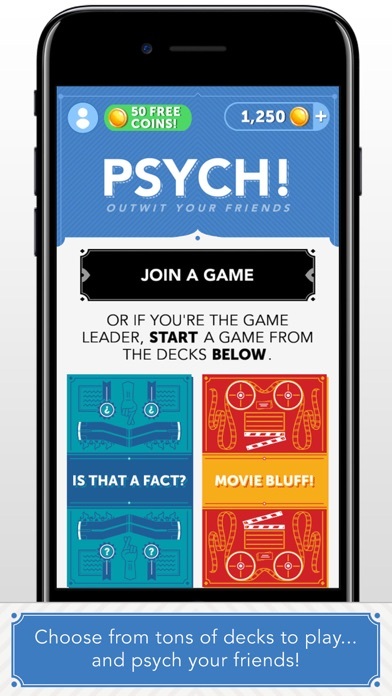 From the creators of "Heads Up!” comes “PSYCH!” – an exciting new party game to play with your friends! 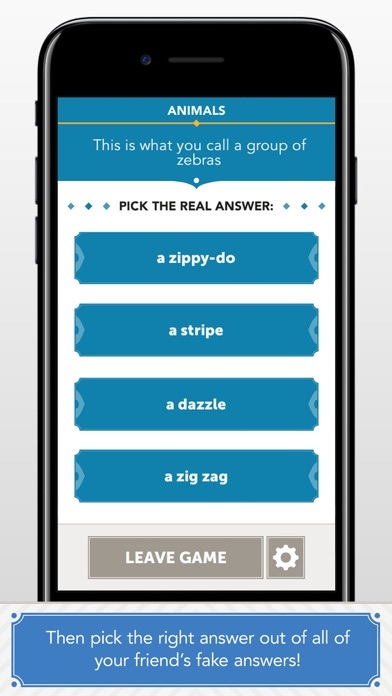 Choose from a variety of fun categories in which each player makes up fake answers to real trivia questions. Can you choose the outrageous real answer among your friends’ fakes? Get points for guessing the right answer, and for each other player you PSYCH! into choosing yours. 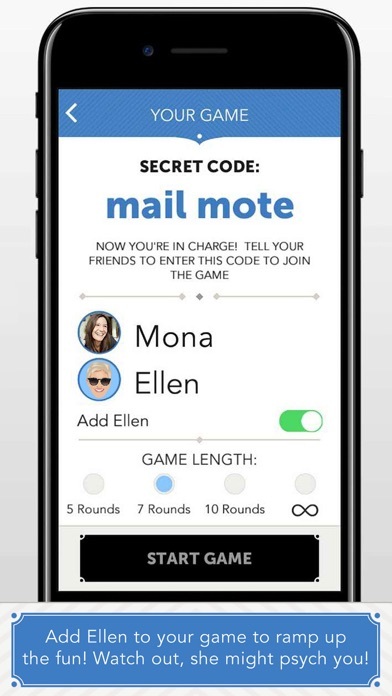 For an extra challenge, add Ellen to your game and try not to get Psyched by her answers! Think you really know your friends? Try playing the brand new “And the Truth Comes Out” deck. 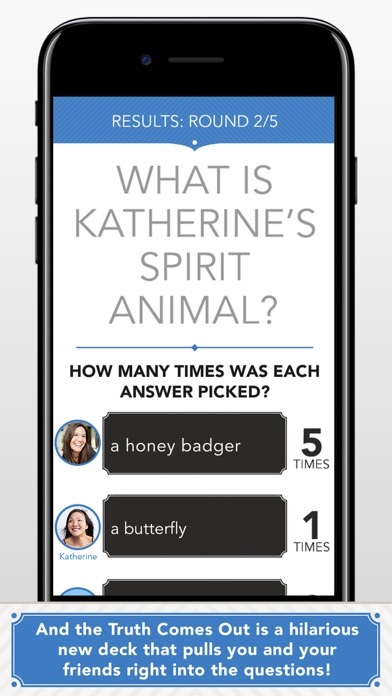 Answer interesting questions about one another and choose your favorite answers! "PSYCH!" is the perfect app for game night, road trips, or even waiting in line. So grab your phones, gather ‘round, and get ready for a gaming experience unlike anything you’ve ever tried! Always have fun with my very special friends. I love this game but when an ad pops up even if you watch it the app won’t let you out of it so I have to close the game and close and restart the app multiple times while we play. It's no wonder Ellen is involved with this! SO FUNNY!! However, the app won't load sometimes. This app used to be my favorite to play with my friends, but we play it so much that we’ve seen every card in the deck multiple times. We wanna keep playing this game but they never update the deck!! Updating decks is an essential part of having a game online! Please update the deck before you lose many regular players.